I'm extremely excited to say that this is a sponsored recipe written by me on behalf of PB2. All thoughts and opinions are my own. Enjoy! 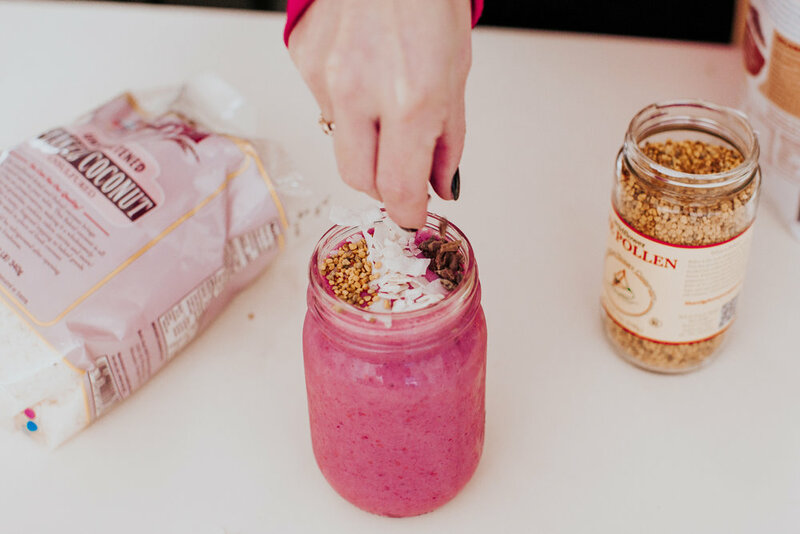 A smoothie is the easiest way I can jam pack nutrients into a meal as quickly as possible and sneak in vegetables and nutrients while keeping it simple. Today I give you a PB + Berry (and beet) smoothie. Now, before you click off of this because I mentioned beets, trust me when I say it doesn't taste like beets AT ALL, but it does give this baby an amazing hot pink color. 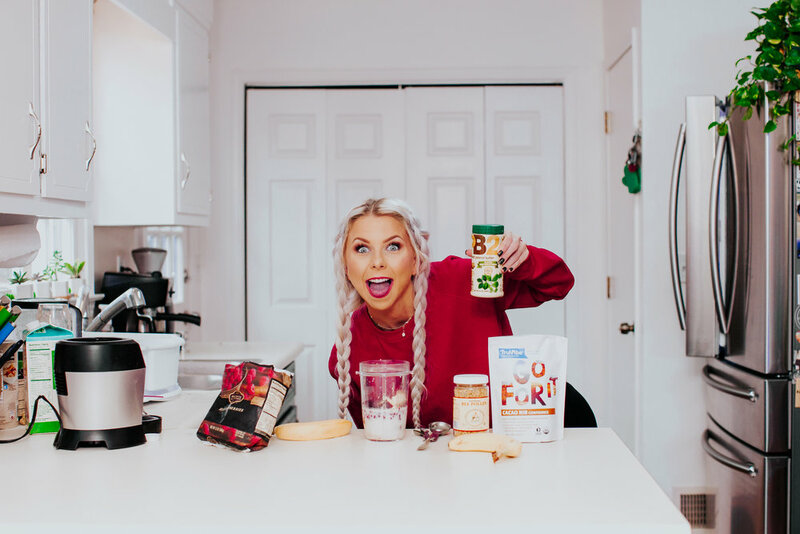 In addition, I've teamed up with PB2 to use their powdered peanut butter to add protein and provide a great peanut butter alternative if you're looking for ways to lower your fat and calorie intake without sacrificing taste. All you need are 5 main ingredients to whip this drink up and an option to top it with whatever you want. I found everything I needed at Kroger which continues to add to the easiness of this recipe - woohoo! Tip: Feel free to toss in a handful of spinach (you won't taste it) for extra greens or leave out the bee pollen to make it totally vegan! Blend the PB2, beet, bananas, frozen raspberries, and almond milk until smooth. Pour into a glass. Top with bee pollen, cacao nibs, and shredded coconut. Enjoy immediately. If you make this smoothie let me know what you think in the comments below!